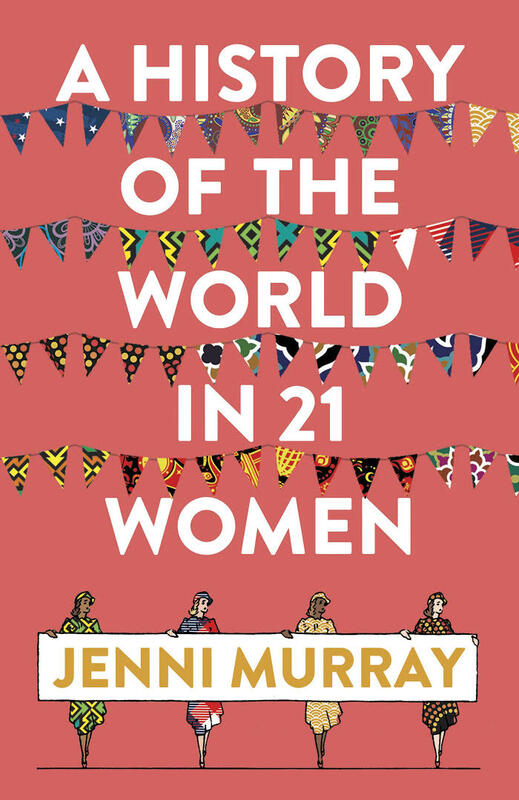 Feminist Library’s Magda Oldziejewska recently interviewed Woman’s Hour’s Jenni Murray, who has just published a new book on women’s history, A History of the World in 21 Women. A signed copy of the book recently landed at the Feminist Library, courtesy of the Publisher, Oneworld Publications, and will be given away in our winter Friends Scheme draw, to one lucky Friend. To find out more about being a Friend or to sign up, go to: www.feministlibrary.co.uk/support/friends-scheme/. Magda: Your book is really lovely, I loved it, because I’m so passionate about women’s history. And so I wanted to first ask you about what motivated you to write the book. 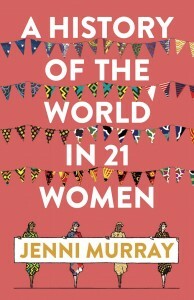 Jenni:I was talking to my editor and I said: “Look, there are so many women all across the world, some of whom I’ve actually met, who really deserve a similar sort of treatment.” Because what I wanted to do with these women’s history books was to take women I admired, had learned about, really, often quite late in life as a result of working on Woman’s Hour, either because we’d discussed the ones who were long dead, or I had actually interviewed the ones who were [still around], and they deserved a similar sort of treatment to the ones I’d done for Britain. So that young people, who are really not taught much women’s history, if any women’s history, in school, will get the opportunity to find out about them. And then of course I discovered that a lot of older women were very interested in this as well. So it had a really wide appeal to women and girls of all ages, that they wanted to find out about these women. I came into this, some of it, quite early, like Queen Elizabeth I and Queen of Scots, and Boadicea… but a lot of them I’d come across really rather late as a result of working on Woman’s Hour, where there was a group of young female academics, like professor Janet Todd, who were turning around and saying: “Look, nobody’s really studied women”. I mean, talk about, for example, Jane Austen – there were no real detailed books about Jane Austen until after she was died. Janet Todd writes beautifully. But not a lot of academics write in an accessible way, and I thought that what I would like to do is to take a number of women in one book, do an entire background to their lives, in as much detail as I can, and in a relatively short and accessible way. And then I thought, we should do this the world over! And, I think, particularly this year, with it being the 100th anniversary of some women in this country winning the vote, people are becoming aware of what women have done and how little they’d known about it. I was there when the Fawcett statue was unveiled in Parliament Square, and I’d known about Fawcett for a long time, I’m president of the Fawcett society, but people had never heard of her! People didn’t know the difference between a suffragette and a suffragist! And I thought, they need to know these things, it’s really important. It’s what influenced all our lives in the 20thand 21stcentury. And I think that there’s a greater hunger for knowledge about it as a result of what happened this year where so many people have been talking about the suffragettes and suffragists. A statue of a suffragette will be unveiled in Manchester when they finally get her up. There was a huge debate about whether Emmeline Pankhurst was to stay near the House of Commons or whether she was to be moved. The fight has been won, she’s going to stay. There is a real hunger for knowledge about it, I think. M: What you also mention in the introduction to your book that you have actually met some of the women that you write about, so I was wondering if you had any stories that have really stuck in your mind that you might like to share? J: Anna Politkovskaya was one of the women I interviewed who I most admired. You know, a journalist – I’m a journalist too – and when we spoke to each other we both wore our glasses at the end of our nose, which we laughed about. And then we talked about my kind of journalism – which, you know, when you’re a journalist in this country, your reputation might rubbished, you might be criticised, but you don’t fear for your life. But the kind of journalism that she did, she certainly did fear for her life, and yet she carried on. You know, covering the Chechyen war, being very critical of Putin, trying to help… And then, of course, the big thing that she tried to do was help the children who were kept as hostages in Beslan. And she had hoped that she would be able to get in touch with the Chechyens who were there and try to persuade them to leave the children and make them safe. And then she told me very clearly what had happened: she had gone to the airport to get on a plane to go to Beslan, she had to use her mobile phone which she said you’d never do in Russia because you knew that someone would be listening, but she absolutely had to do to contact somebody who was there to say that she was coming. She was heard, she got on the plane, she was given a cup of tea, which she drunk, and the next thing she recalled was waking up in a hospital because obviously she had been drugged to prevent her from going. And then of course Putin sent in the heavies and then a lot of people died as a result. And then she’d written a book about Putin in which she was so critical of him. And we ended the conversation saying we hoped we’d meet again because we were clearly very much of a like mind, and I would have liked to go on speaking to her… And then 2 years later she was assassinated. She was shot. Wangari Maathai is another woman who really impressed me. A young Kenyan girl who grew up in the countryside. As she got older, she was very lucky, her parents had allowed her to go to school, which is unusual. She was very bright, did very well at school. Managed to be selected for a scheme where she would go to America to get her higher education there. Came back to Kenya and begun to be aware that the Kenya that she came back to was not the Kenya that she had left. Obviously politically it had changed, but also environmentally it had changed. When she came back, it was not the fertile land that she had left. It was muddy, it was dirty. And trees had been planted for profit, so they were not indigenous trees. She was appalled at the state of the country. She married a man who was very critical of her outspokenness. The country’s president, when she tried going into politics, said the same thing, that she should be a ‘proper’ African woman, and shut up. She suffered terribly for her activism. But then she thought, what we have to do is start planting trees that belong here, indigenous trees. And the way she did that was to gather groups of women who were prepared to plant trees. And eventually some charity money came in. And, very amusingly, she said, when they started getting the charity money coming in, they managed to get some tools, and, she said, funny enough, the men started coming in! So she said, if you want a man to do a job, you need tools! But, you know, they planted, over her lifetime, something like 50 million trees. A lot! She had tremendous impact on ecology. Not only in Kenya, her impact spread far and wide. She won the Nobel prize, which is amazing. M: It’s incredibly inspiring. I wanted to also ask you about your early days at Woman’s Hour – how that came about and whether, at the time, you were also involved in the women’s movement, or if not, how that came about? J: I wouldn’t say that I was ‘involved’ in the women’s movement, just living it, I think. I joined the BBC in local radio in 1973, in Bristol, having been rejected by the BBC when I applied for a job in London as a studio manager. But I did manage to get into Bristol and then went down to Southampton and worked in television, in the regional programme. And then was asked to go and work on Newsnight. So news and current affairs has been my background, but always interested in women’s issues. Worked on the Today programme. I have to say, my time on Newsnight was not the best time of my life. There were a lot of male presenters and two women, and we were known as ‘Newsnight wives’! So I went to Today and had a terrific time on Today. I had, by then, my two sons. In fact, I was pregnant with my second son when I started on Today, so he accompanied me in those very early mornings. And then, eventually, I got a call from Woman’s Hour and they said: “Would I like to come and be on Woman’s Hour?”, and I went so fast you couldn’t see me for dust! You know, I loved working in news and current affairs, but what was terrific about Woman’s Hour was, not only did it have the women focus, but we would do politics, current affairs, books, art, theatre, music, films… the range was just extraordinary and different from anywhere, because it was a magazine programme that covered absolutely everything. As long as we could convince ourselves that we were promoting women speakers and the subjects we were discussing were of interest to women, we could do anything we liked, really. Women are interested in everything! So that’s how it started. And that was 1987. So I have been there 31 years now!